Our Periodontal Exam form has 32 columns giving you space to record your findings for each tooth. 100 forms per tablet. The Periodontal Examination Form is designed for periodontists and general dentists who treat periodontal disease. It's more detailed than the Periodontal Screening Examination. 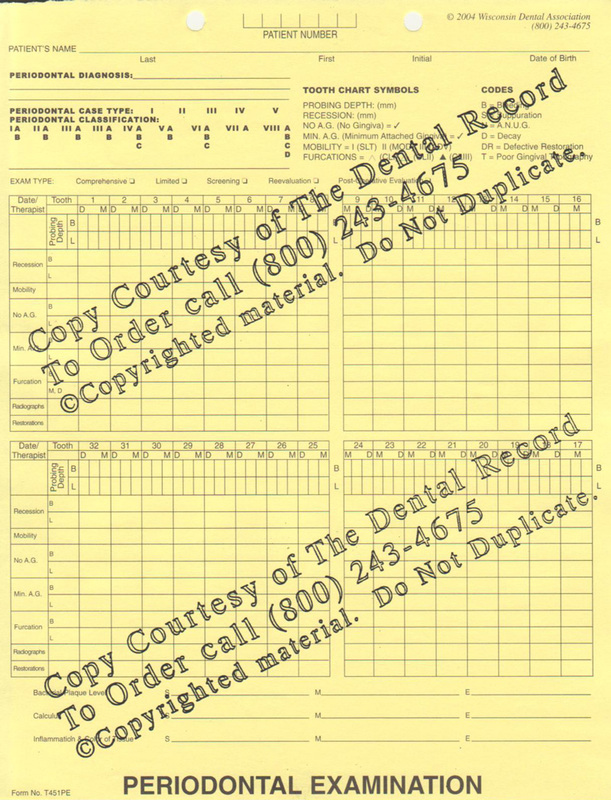 This form contains 32 columns with space to record findings for each tooth. At the top of each column you record probing depth. As you proceed down the list, you record probing depth, mobility, recession, furcation, and restoration.